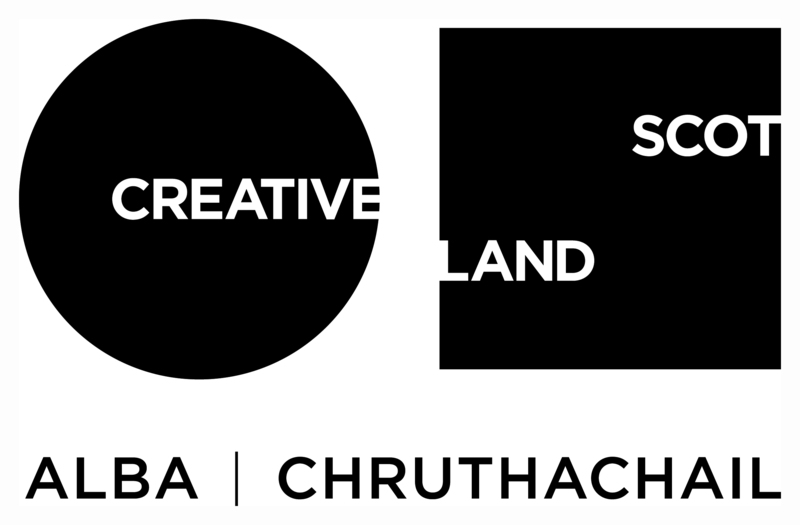 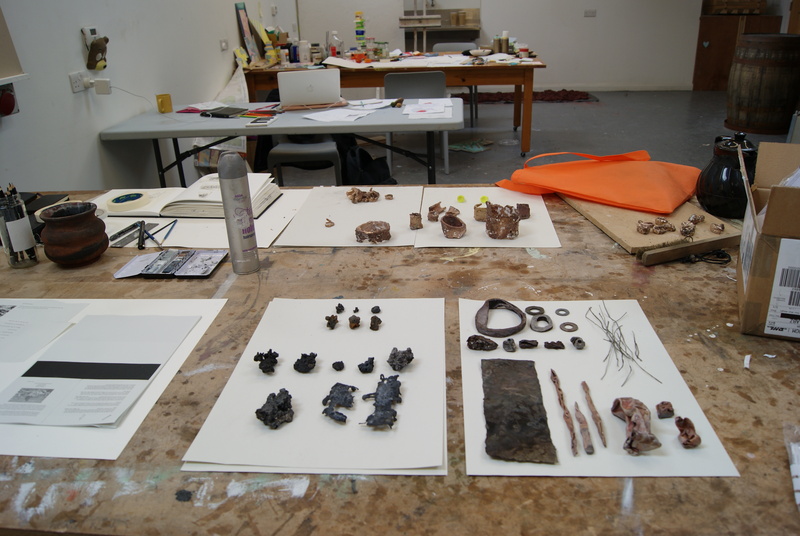 From Turf to Tools is an on-going project looking at issues surrounding land access and environmental change and the effect this has on our contemporary ability to recreate ancient technology. 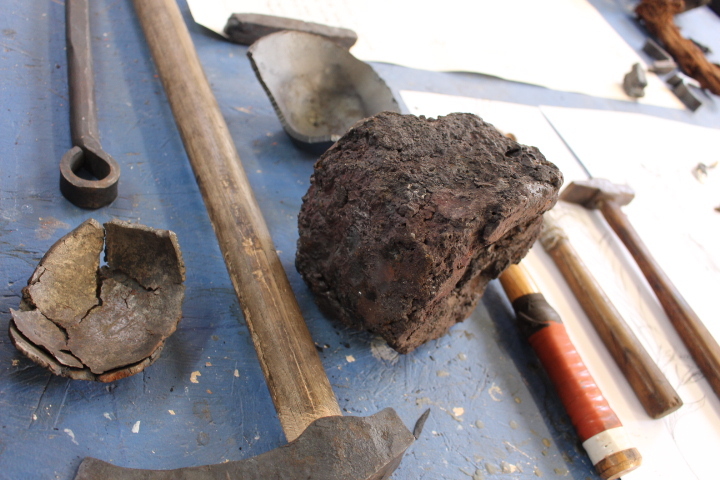 Lead by Archaeologist Dr. Gordon Noble, recent archaeological digs within a Pictish fort in nearby Rhynie have unearthed evidence of the working of various metals including a decorative iron pin, clay moulds, bronze residues and crucible remnants showing possible traces of silver oxides. 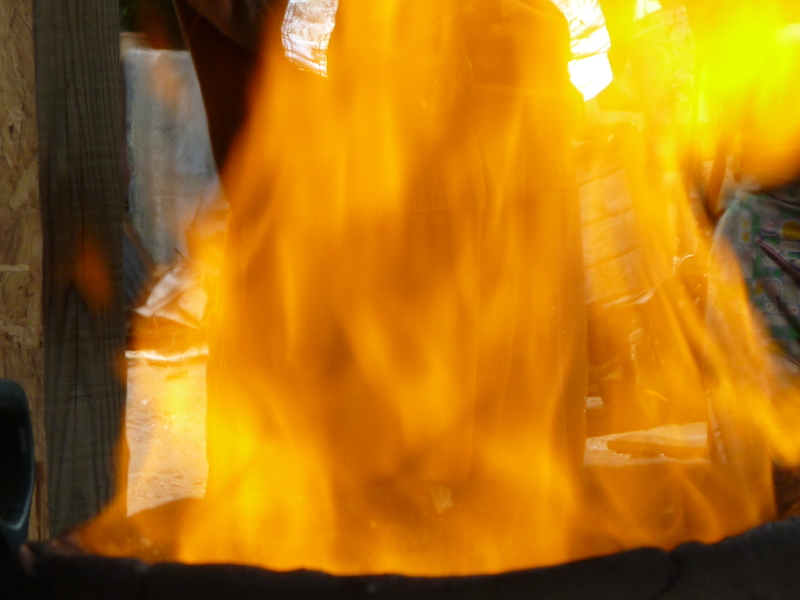 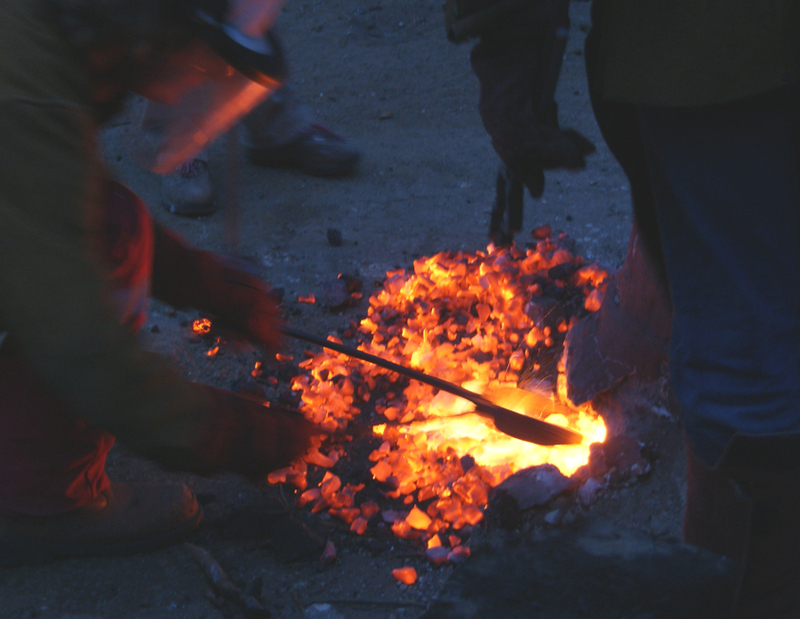 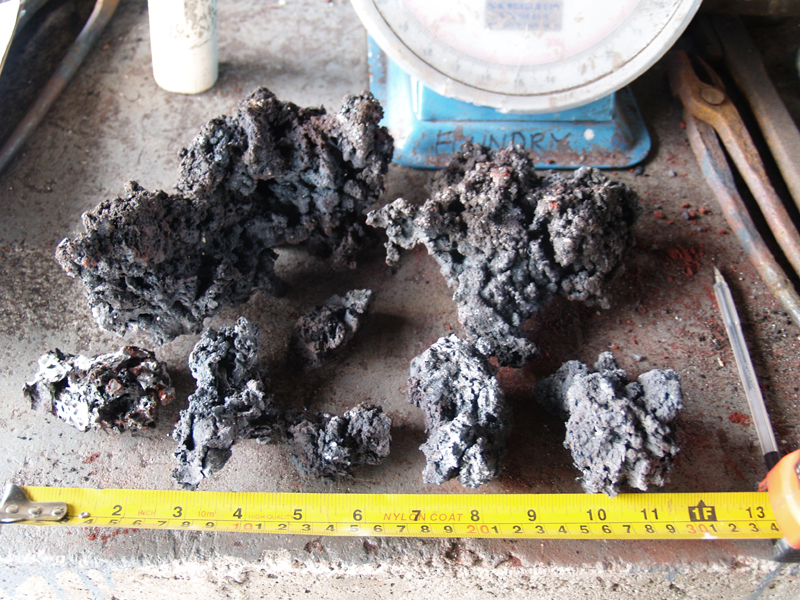 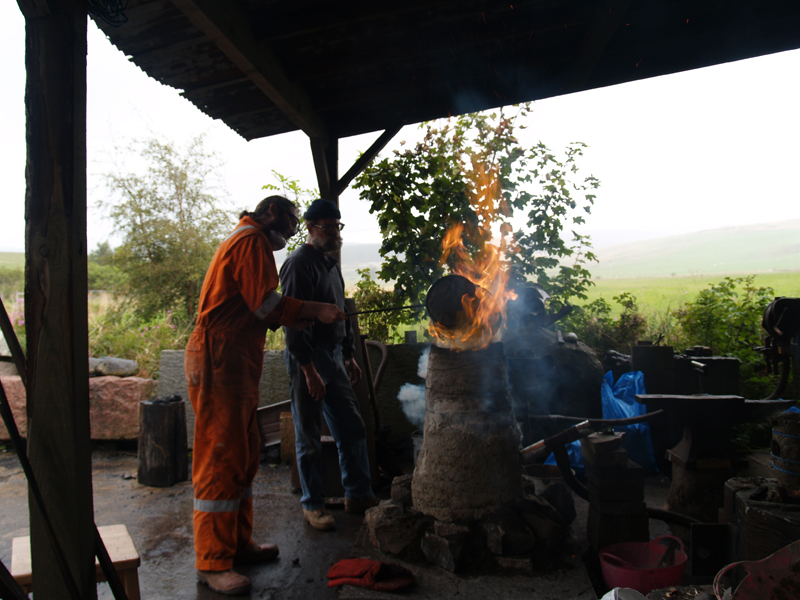 Reacting to these artefacts, information, conjecture and speculation, and in conjunction with Canadian artist blacksmith and expert in ancient metalworking techniques Darrell Markewitz, the project is continuing to explore the methods and practices used in Pictish technology including the production of workable iron smelted from raw locally sourced iron ore. 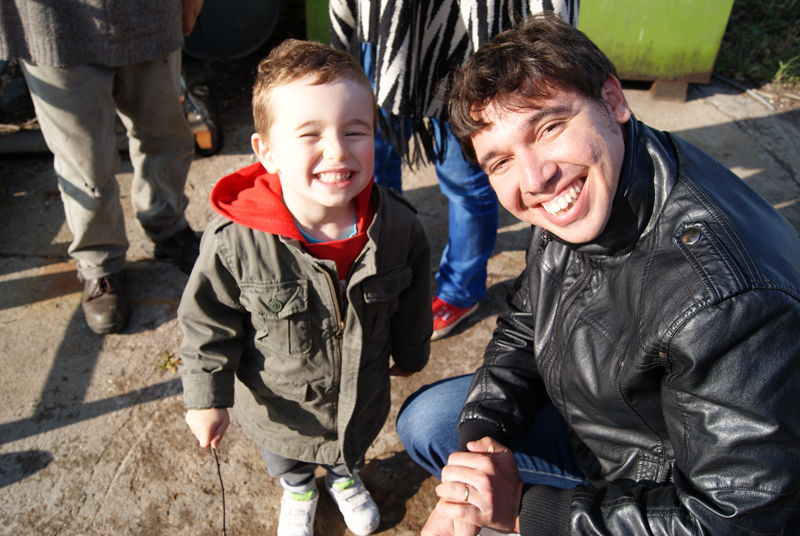 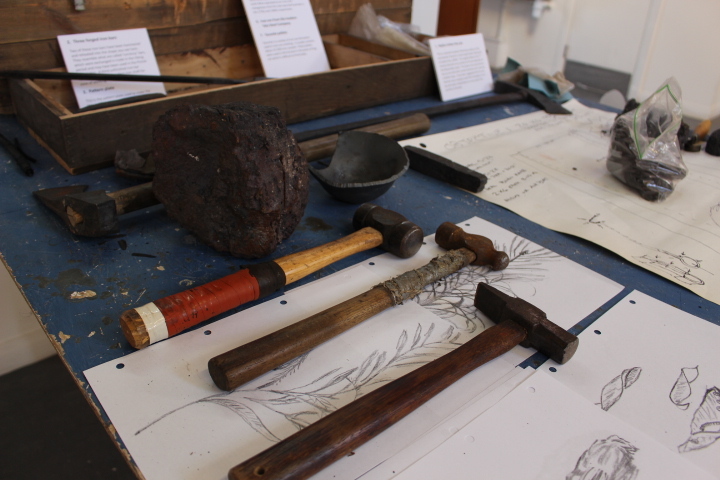 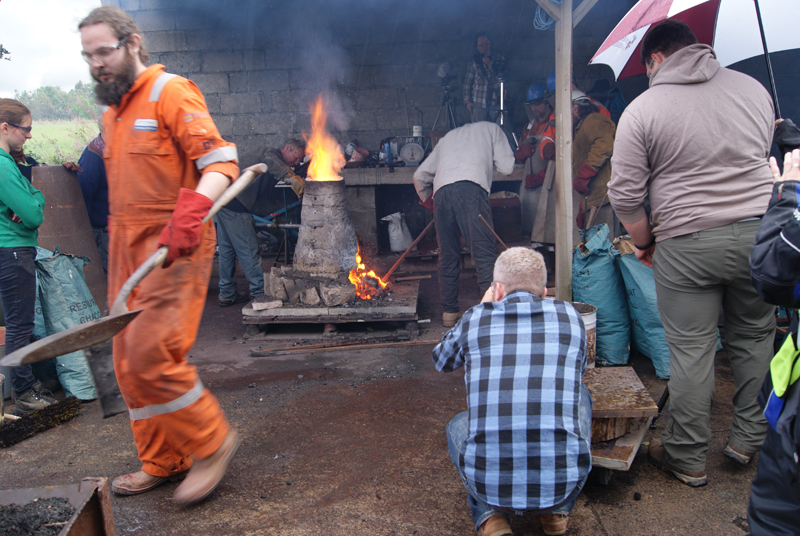 The project investigates the processes, skills and heritage of taking raw materials through to workable implements. 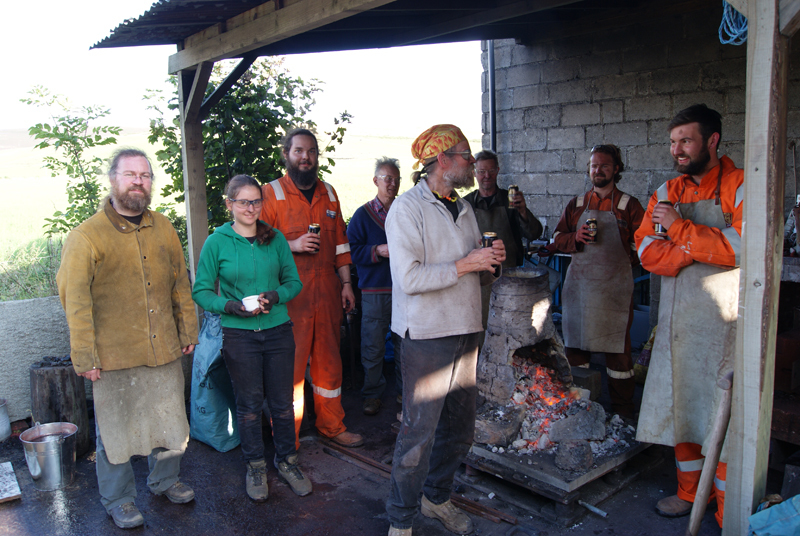 Since 2013, artist and SSW Senior Technician, Eden Jolly has worked alongside a number of artists, artisans, scientists, historians, academics and writers to develop a collaborative research process for the project, with a focus on peer exchange. 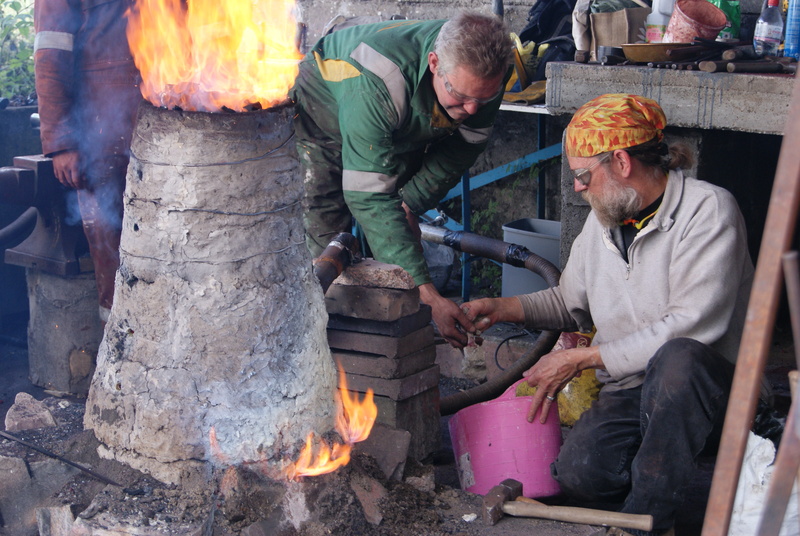 The project seeks to refine the bloomery process, utilising evidence from archaeological investigations to create the most efficient working model of a man-powered bloomery furnace. 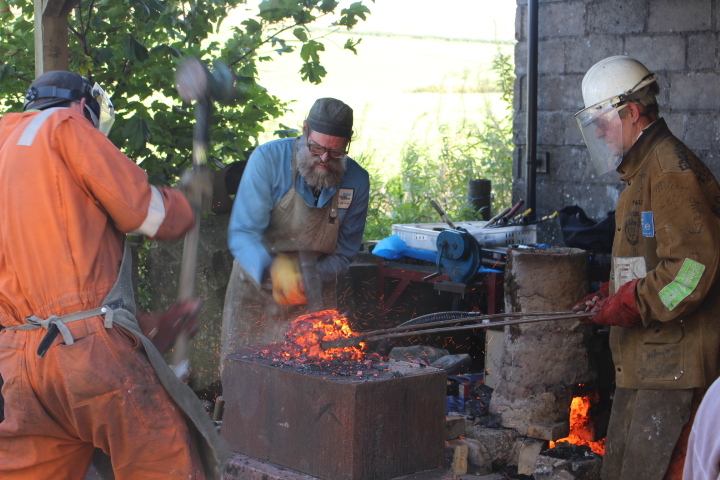 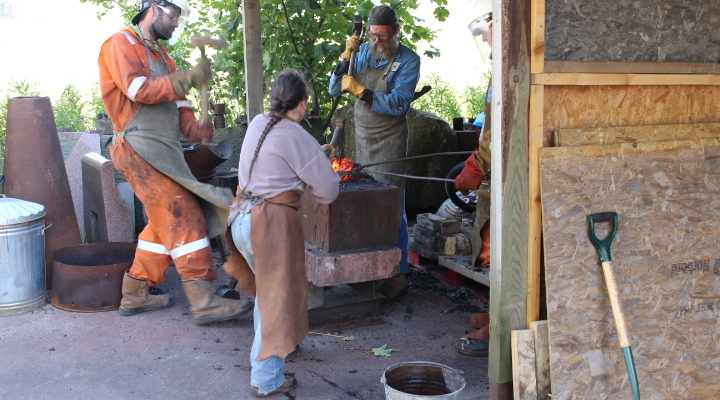 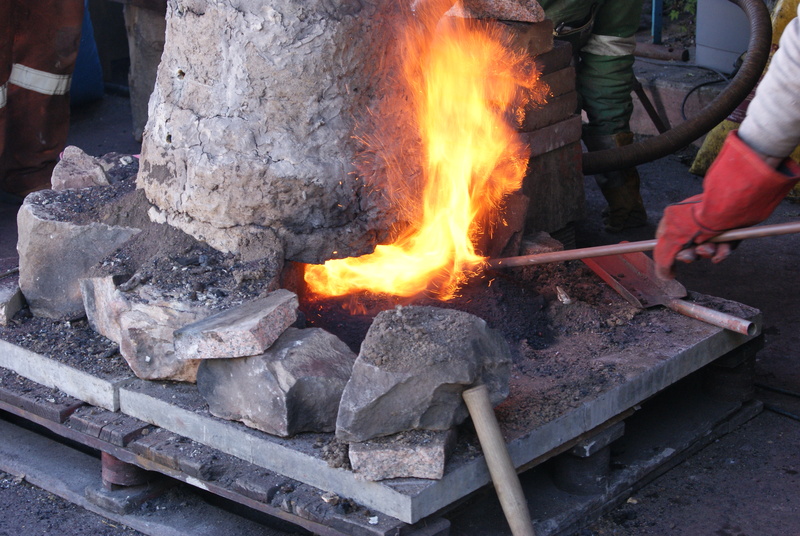 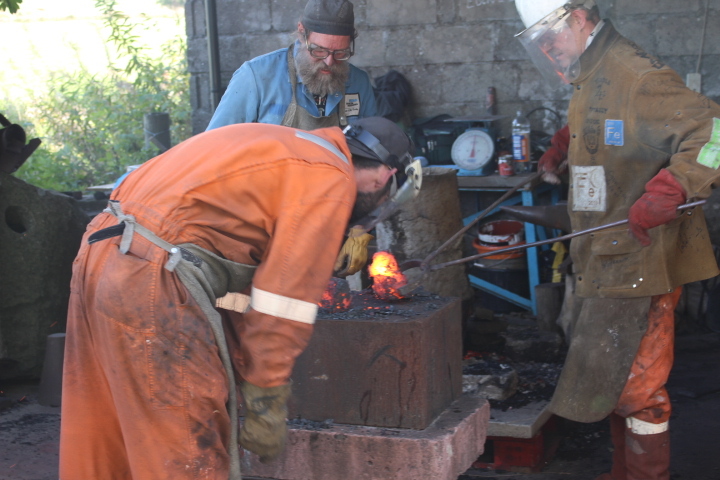 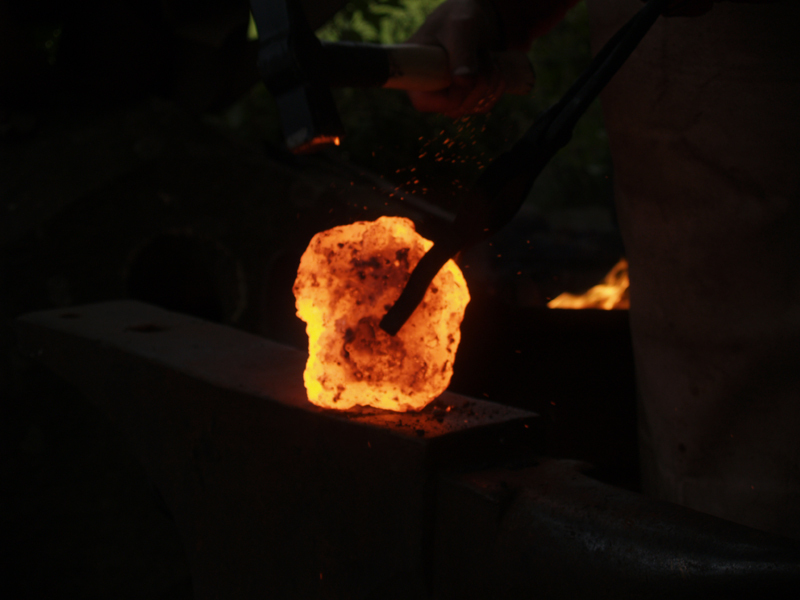 Project aims have included being able to use the resulting iron ‘bloom’ to forge a ceremonial axe, such as the one that is depicted on the renowned Rhynie Man standing stone from 700 AD. 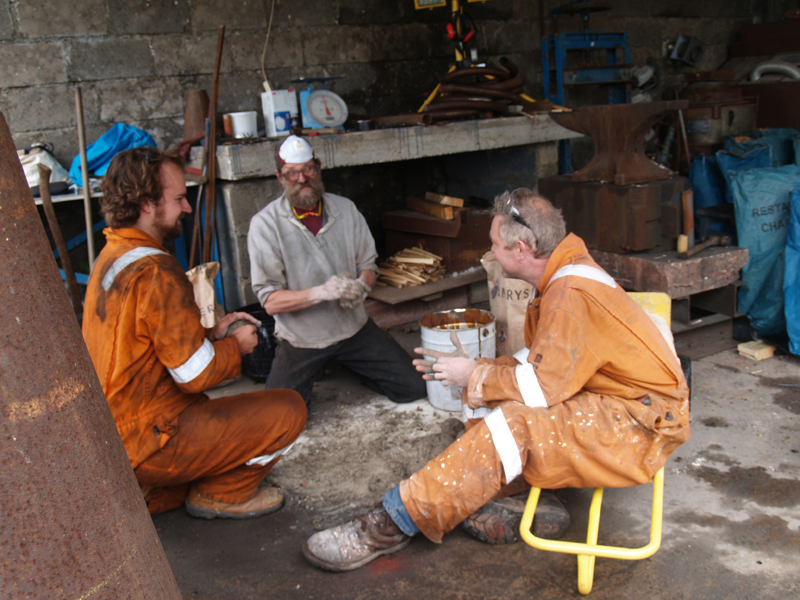 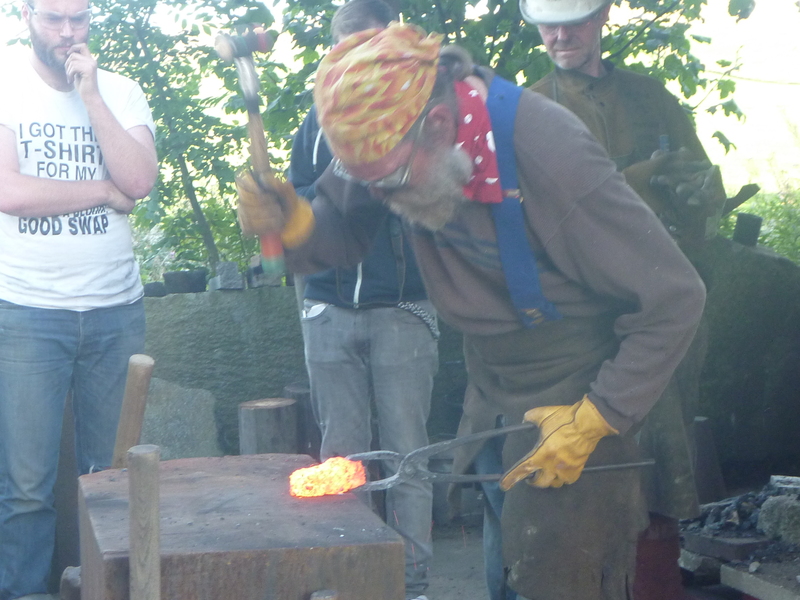 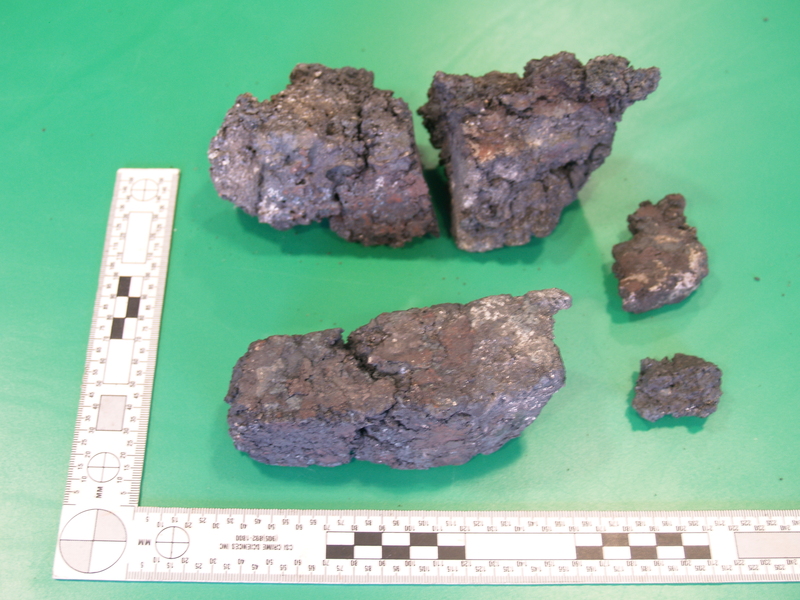 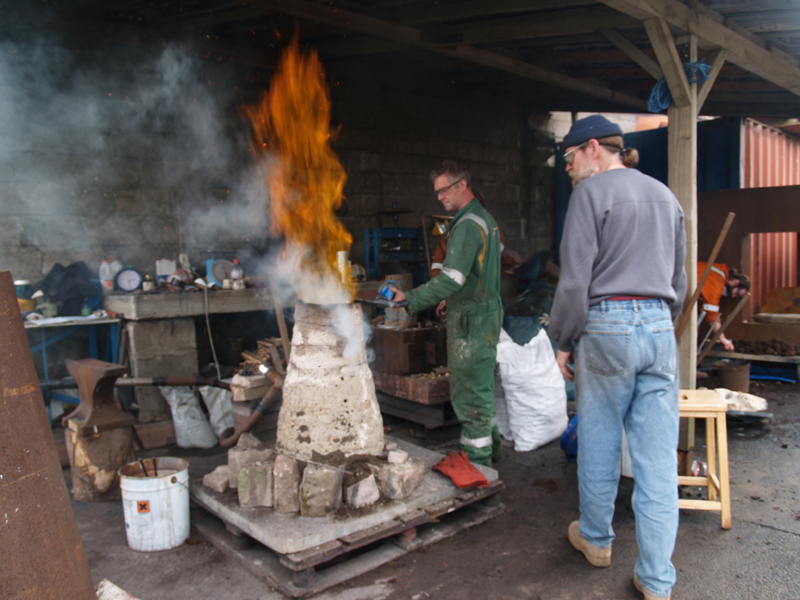 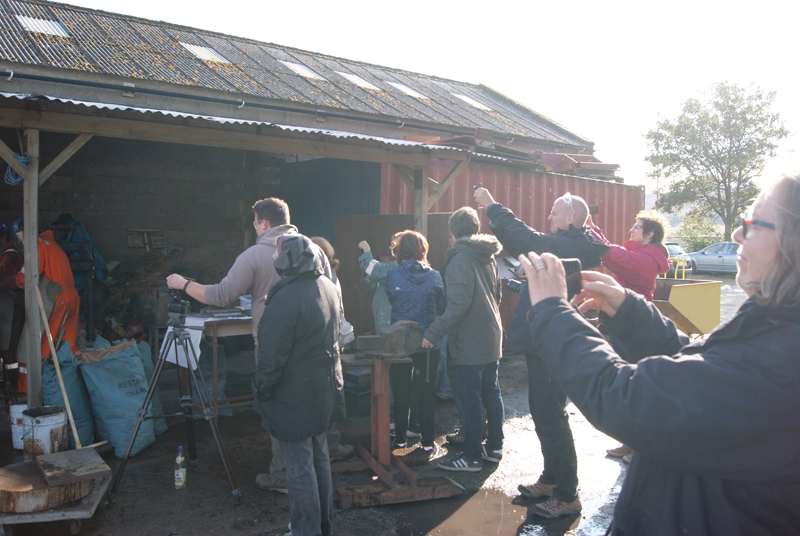 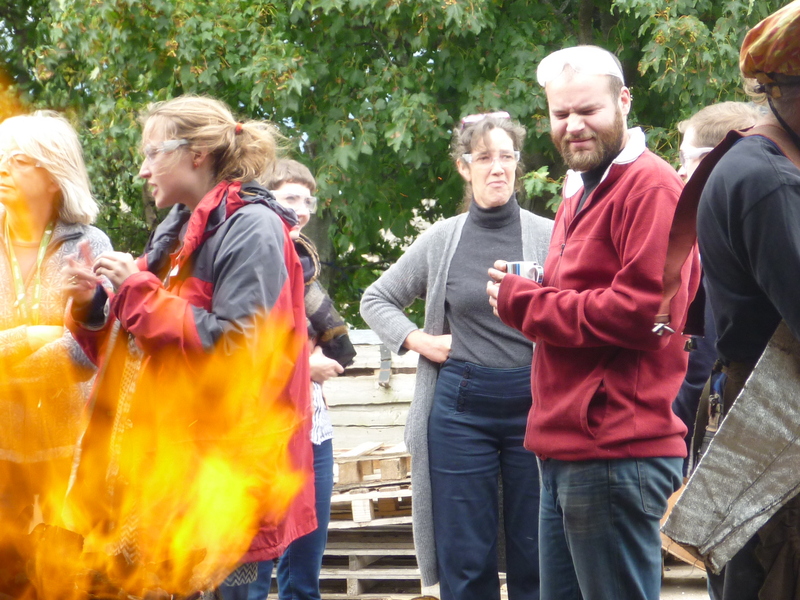 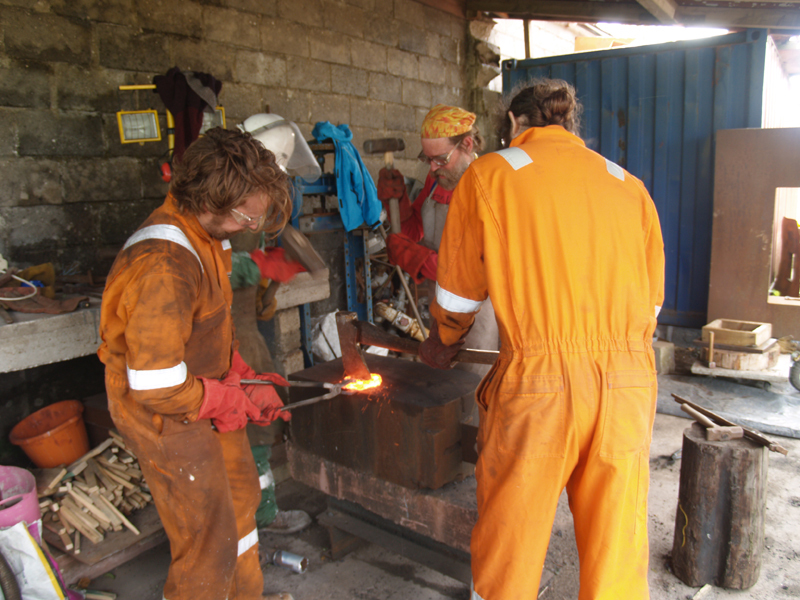 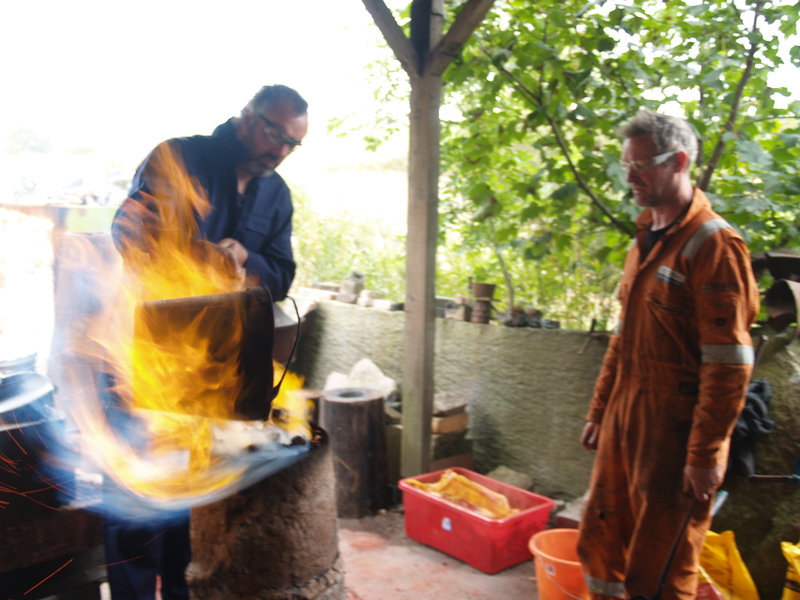 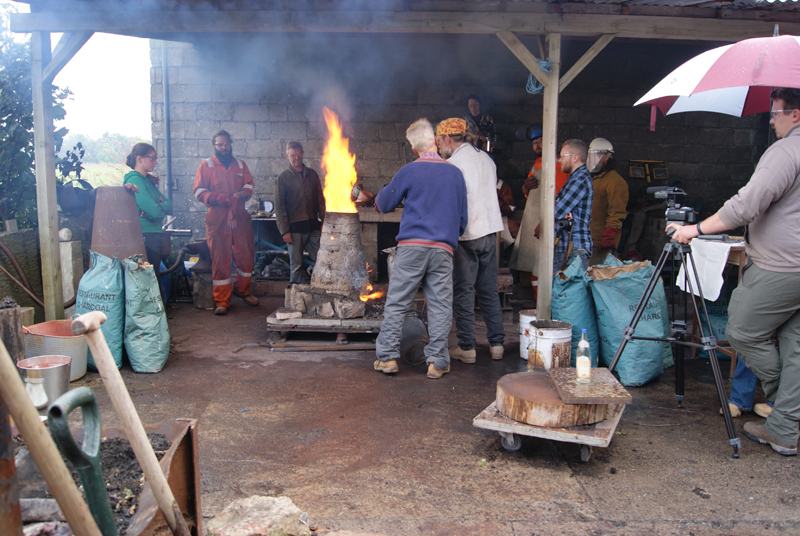 As well as periods of research, Turf to Tools hosted a public open forum in August 2014, with presentations from a range of practitioners looking at the many facets of the Turf to Tools project, as well as a public demonstration of the smelting process. 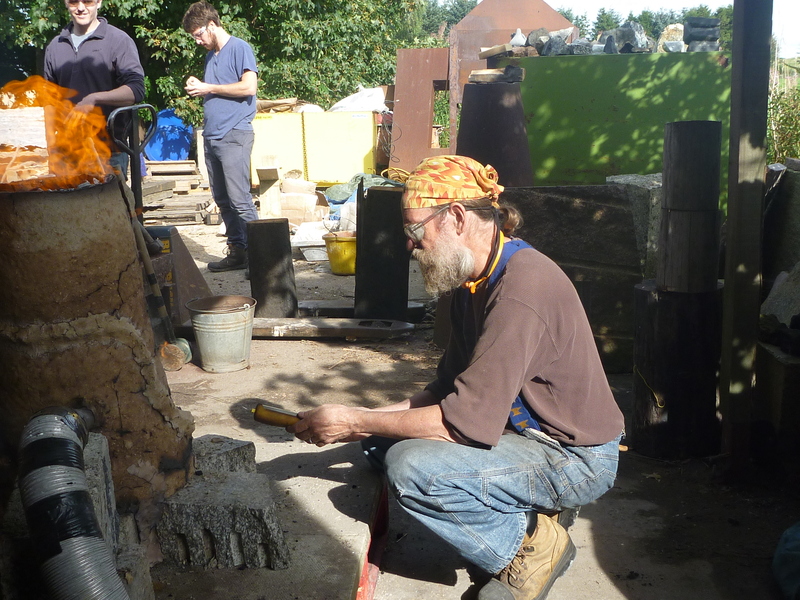 From Turf to Tools also offers opportunity for skill-exchange and training, and as part of this Darrell Markewitz ran a two-day course at the end of the first research phase in August 2014 for those looking to gain some direct hands on experience. 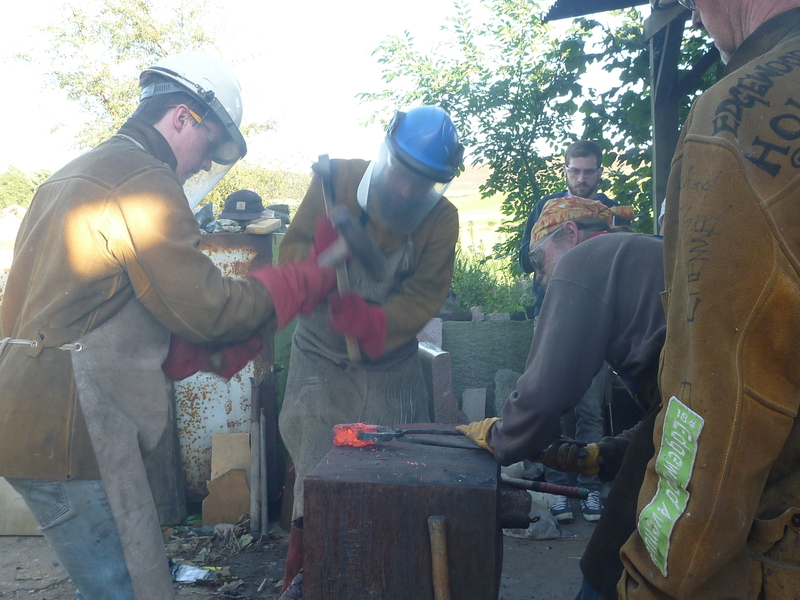 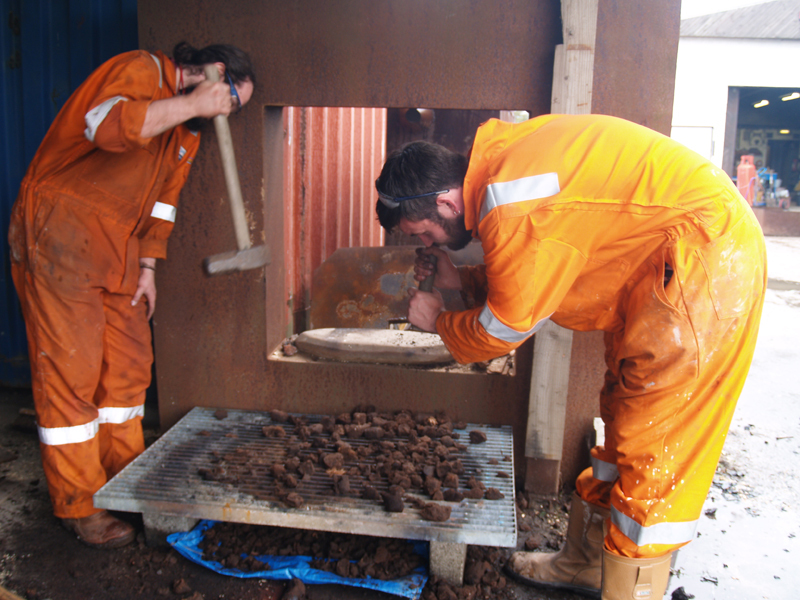 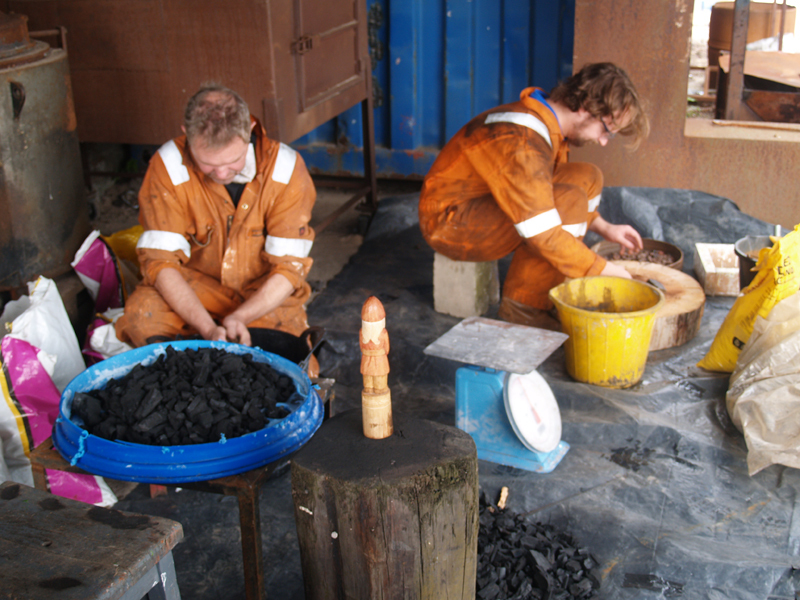 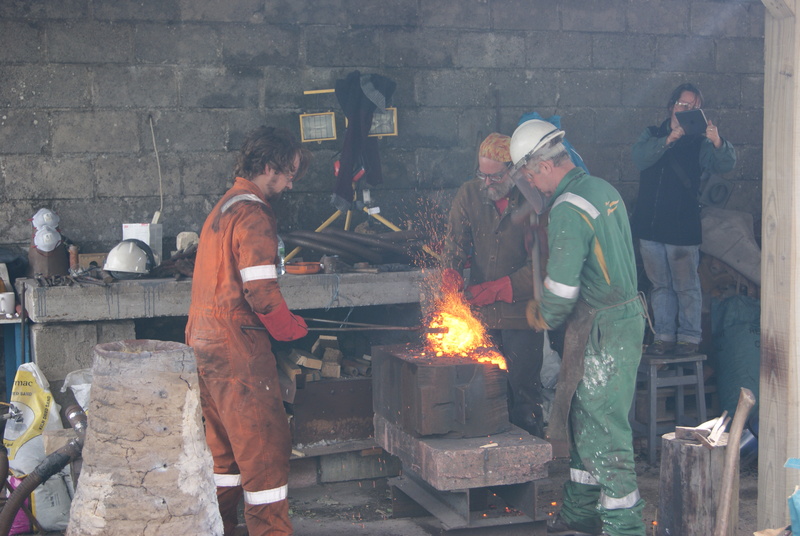 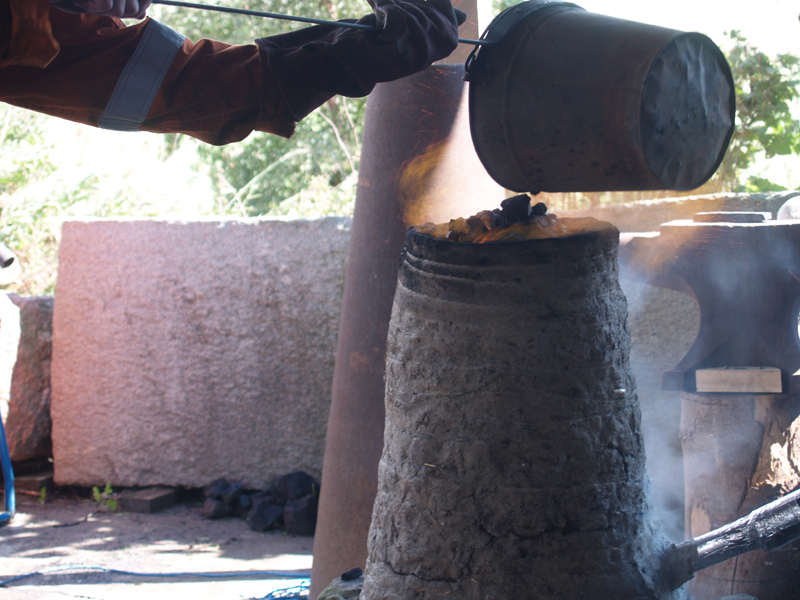 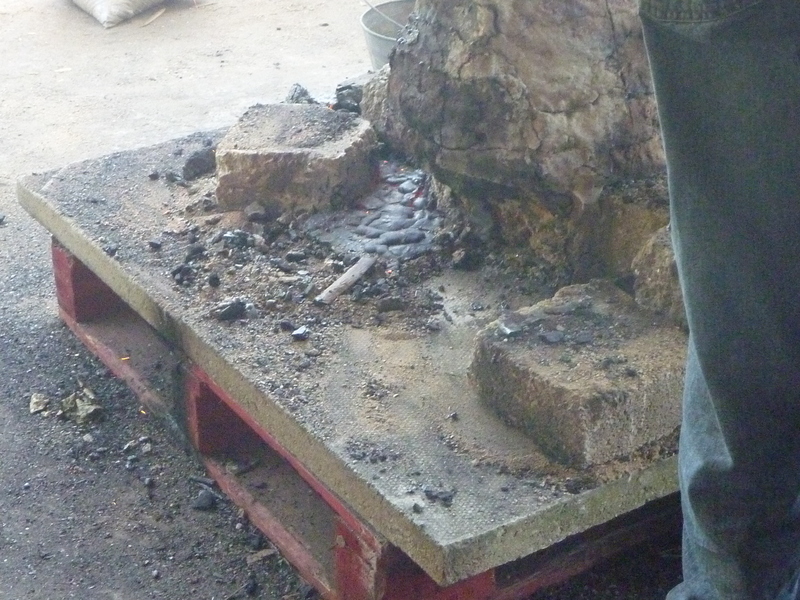 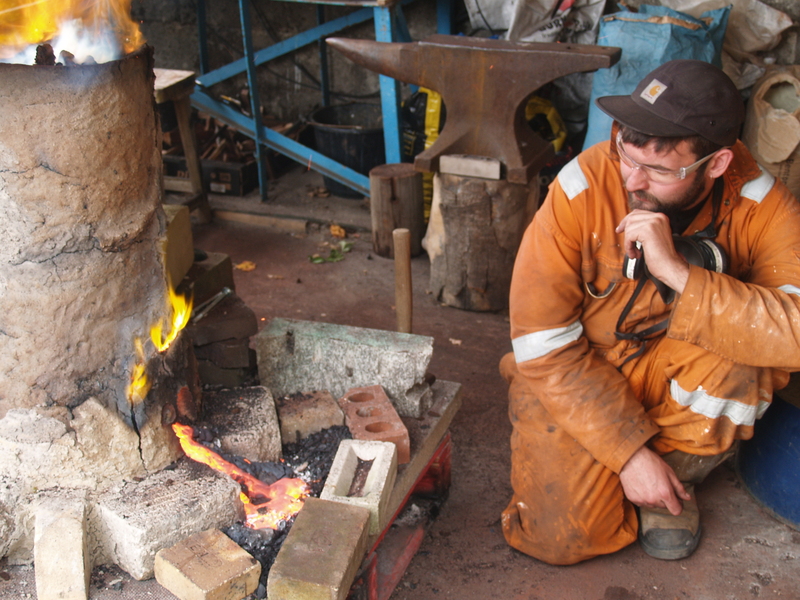 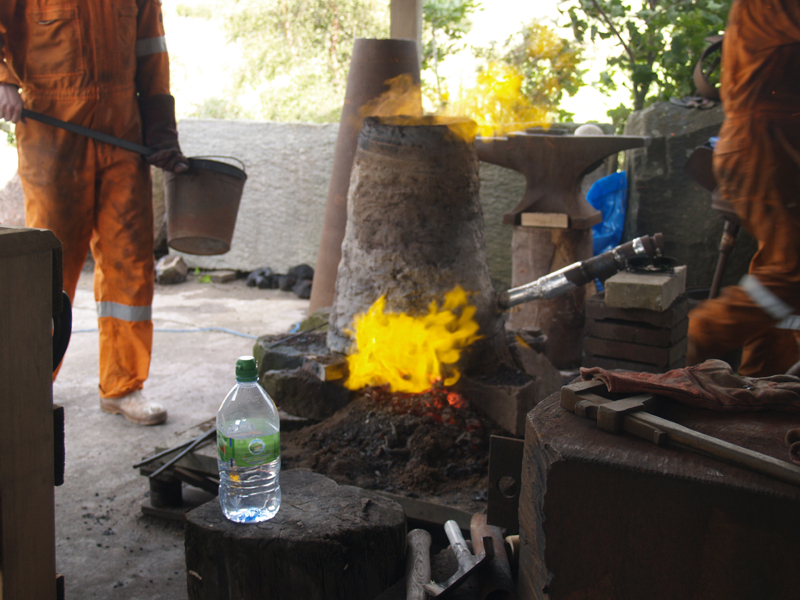 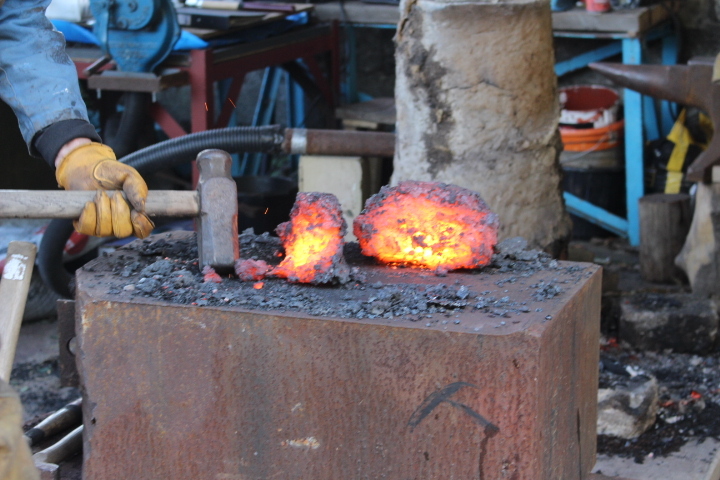 The workshop entitled ‘Aristotle Furnace’ worked with participants to produce their own tabletop furnaces, capable of producing workable iron. 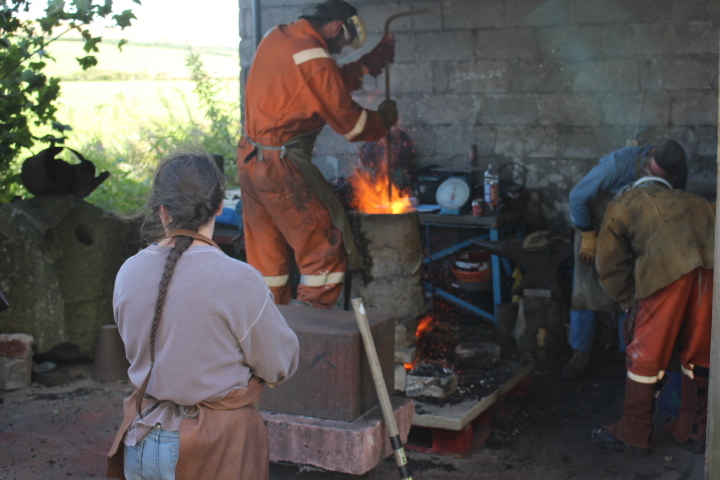 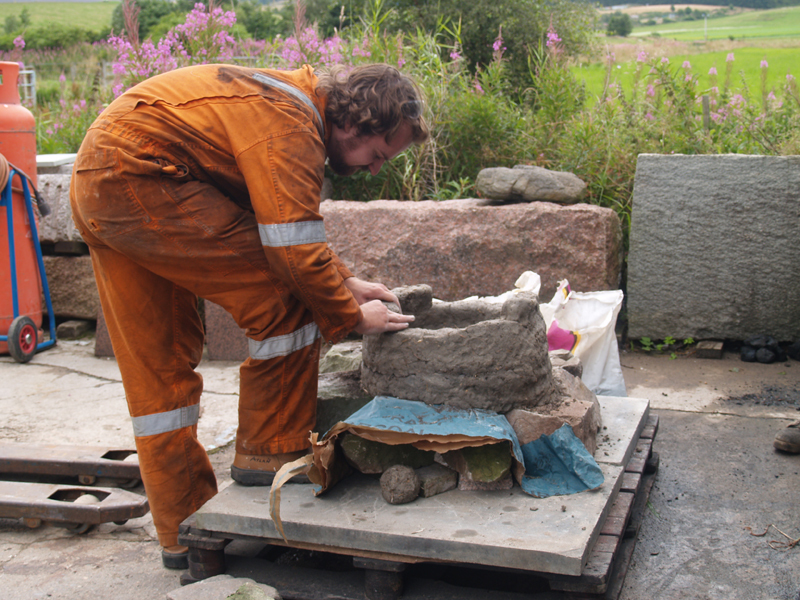 In July 2018, SSW entered a third Turf to Tools research period, with a week of research and experimentation culminating in a weekend course, lead by Eden Jolly, drawing on archaeological finds within the Rhynie fort and sharing knowledge of the bronze casting methods used by Pictish metalworkers. 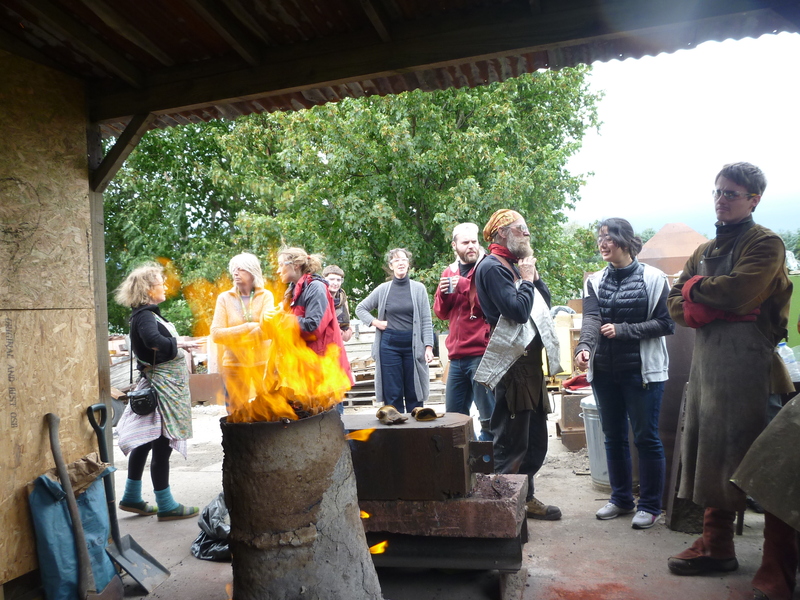 Using simple materials such as beeswax, clay, sand and horse manure, participants cast small objects using the traditional methods understood through the projects continuing research.